Finally, I got a real holiday! For 10 days in the beginning of this month. The holiday I was looking forward to since I knew that one of my good friends would get married :), my best friend that I have not seen for 3 years would come back from Japan at that time, Philip also had to get his visa done in Penang. Plus I have not been back to visit my parents for like 6 months. So, we tried to put these plans together and made it happened, 3 places in 10 days! Though changing hotels all the time and keeping up with pretty tight schedule were a bit hectic, but still, traveling gives you a good fun time after all. 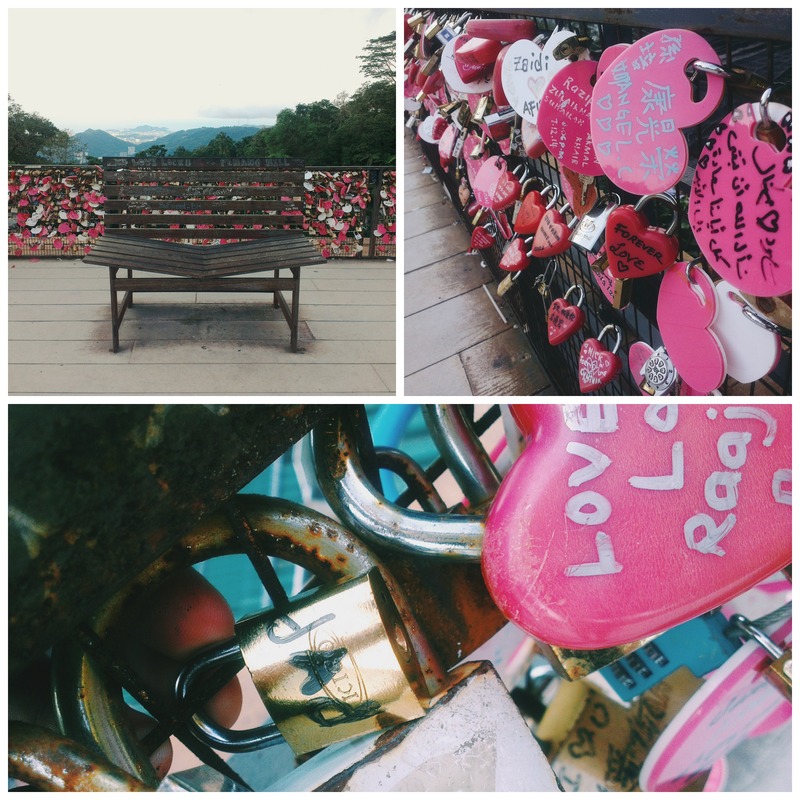 After the wedding and a couple days in Bangkok, we traveled to Penang. The main reason was for Philip to get his work permit and visa done. 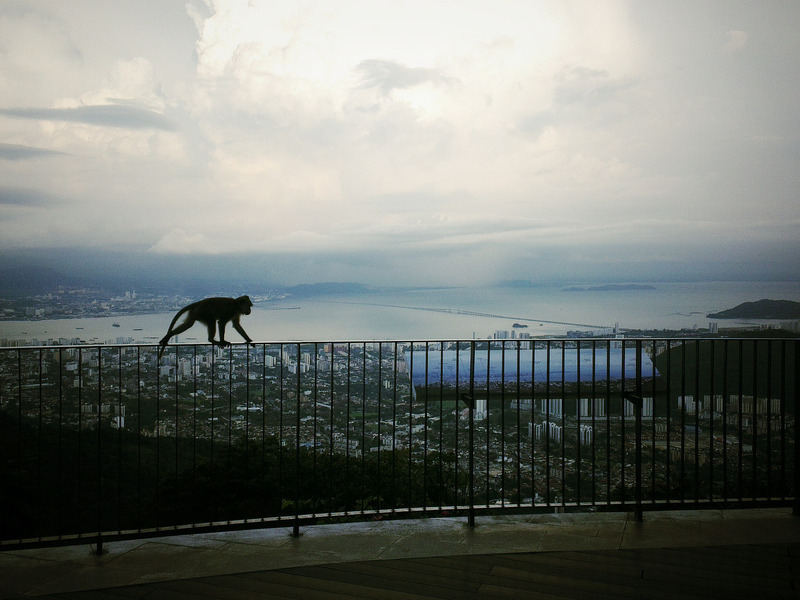 Most of tourists and expats who travel around or want to continue staying in Thailand would have been to Penang and found that there's nothing much to do there. At least, that's what many of my farang friends said. I did not know much about this town at first. But after researching some reviews, I was surprised. Penang is quite popular for Thais. I guess it is so because it is not far from Bangkok, almost everything is at same value and food and culture are quite similar. 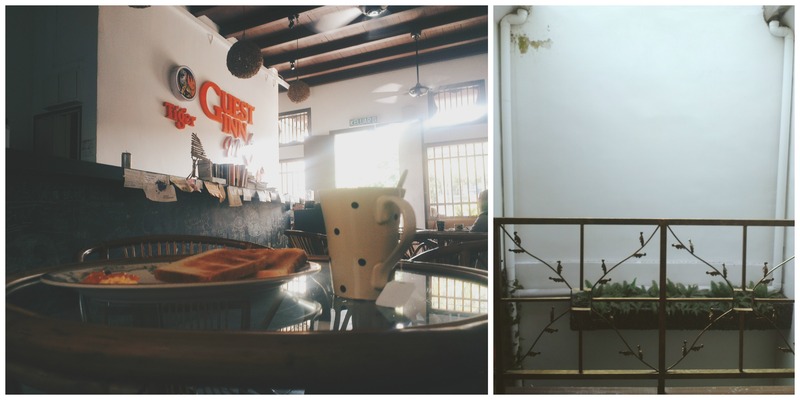 Other than that, Penang is full of street arts and super cute coffee shops which are Asian youngsters' favorite places to hangout (...to selfie. To take pictures of food and upload them on Instagram before eating... OF COURSE.) 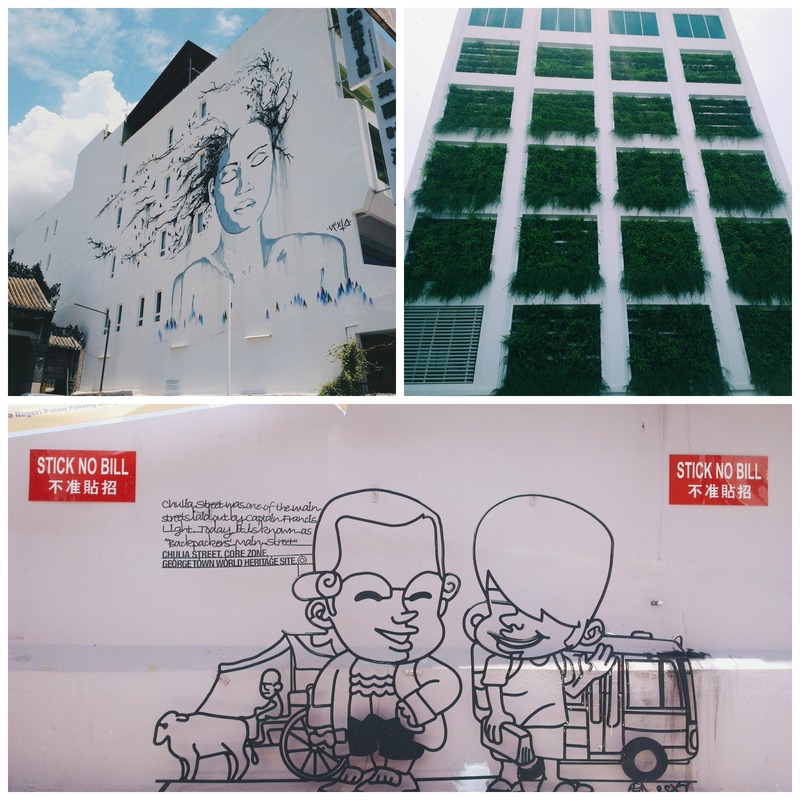 We planned to stay in George Town since it is comfortable for both visa thing and cool places to see. We roughly planned the trip, just knowing few places we should not miss. 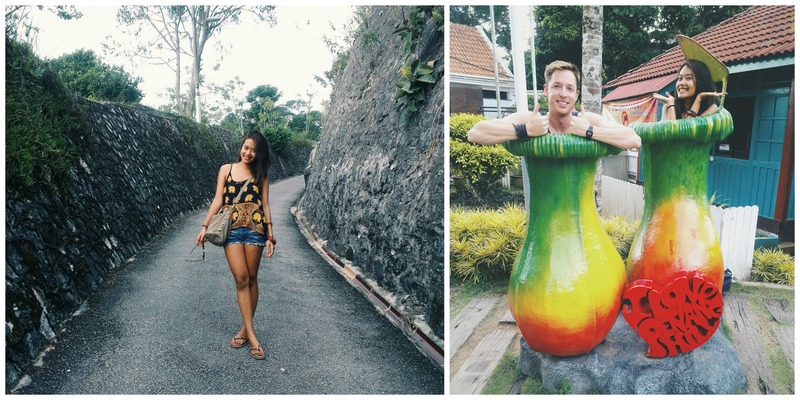 We spent the first day traveling to George Town by plane from Bangkok to Hat Yai and then a van to Penang. I would suggest direct flight to Penang otherwise you have to make sure you are comfortable with sitting on the van for 4-5 hours. We arrived in George Town around 10PM Malaysia Time. (It is one hour earlier than Thailand Time.) Guest Inn Muntri is the place we chose to stay for our 3 nights here. Please see my review about this guest house in the link. I wrote it in Thai as AirAsia will give reward points to Thai review so I hope it still makes sense when translates to English. I did not make any pictures in the room though, here are only pictures I made in the guest house. 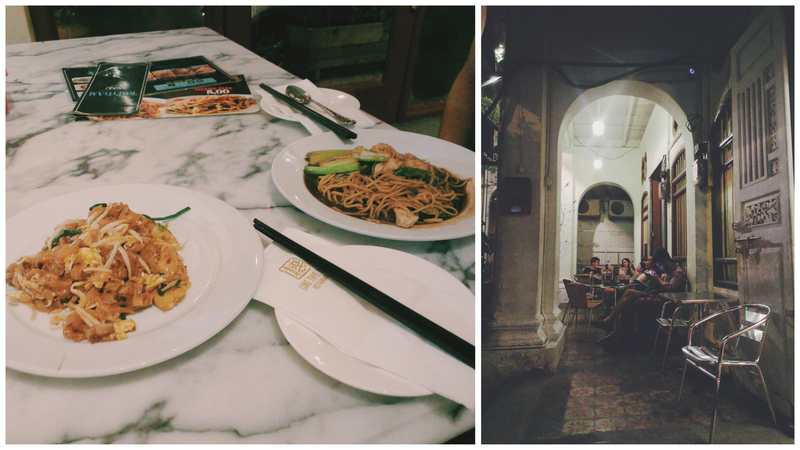 Penang is a multicultural town where Muslim meets Chinese, so the first thing we were keen to discover is food(seriously?)!! 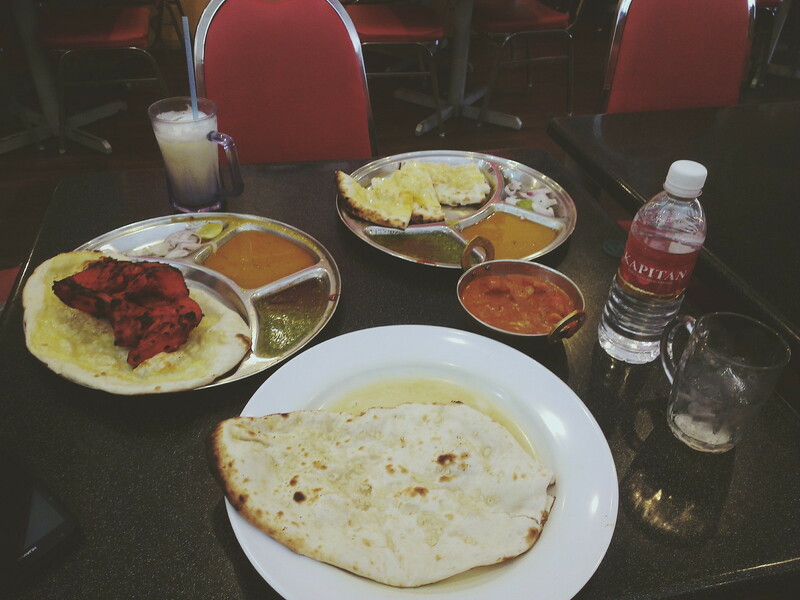 After a quick researching, I found that Kapitan is the most recommended Indian restaurant in George Town and it is not far from where we stayed. Though the other day we found this very local Indian restaurant and it was way better! Philip ordered some kind of Tandori chicken (that red deep fried one) plus Indian veggie pizza that we ended up not finish it because these Naans are huge! And I did take Tikka Masala...of course! I would only order something I know well better than new things and feel disappointed later. Such an adventurous girl I am! It was so hot in Penang! Hot like, even a Thai island girl like me couldn't resist...! I saw many many shopping malls on the road yesterday and I understand why they need them. Air-con place is a must for the hot city. Just like Bangkok! We walked around for a while, feeling impressed with this little town. I heard about the arts streets that are full of cool graffiti. Though we were not there yet but I already sensed the artsy-fartsy vibes. We planned to go Penang Hill but the weather like this... made us change to Komtar instead. It is a shopping center that includes 4 shopping malls together. Komtar is also a bus station. All bus in town will stop at this station so you can make sure you will not get lost. 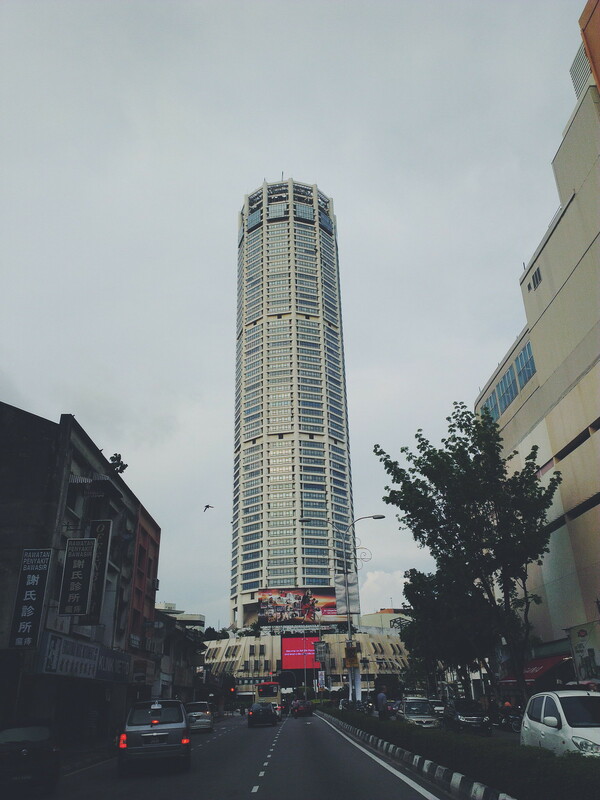 Even you get lost, you can always start over again here, at this tallest building in Penang. We spent quite long in there. I wanted to check out Watson, it is a popular drugstore in Thailand but the brand itself is from Malaysia so I thought the price would be cheaper... but nope, it was not. Almost everything had same cost like in Thailand. As well as all the fashion brands like H&M etc. So Thai girls, please not waste your time shopping here :). Anyway, we tried this Escape Game. For 38 RM per person and we got 45 minutes to solved the puzzles in the room. We chose the most difficult one with The Mummy theme... Yes. we overestimated ourselves by choosing the hardest room so we came out with defeat... Well, it was fun though! Then, it was time for Penang Hill. Evening around 5-6 PM is the perfect time for visiting this place. Since it would be very hot up there, you would not enjoy walking around much and will end up feeling negative with the place. To get to the top, we needed to take a train (30 RM per person for foreigners). That day was pretty cloudy but the view was still enjoyable. I like how this town still keep the balance between buildings and greens. I hope they will keep it this way forever! While we were walking back to the train, I saw a monkey looking for snacks from the bin. Apparently, there were few monkeys live there and they were quite used to hanging around human. I could say that this little guy totally made my day! 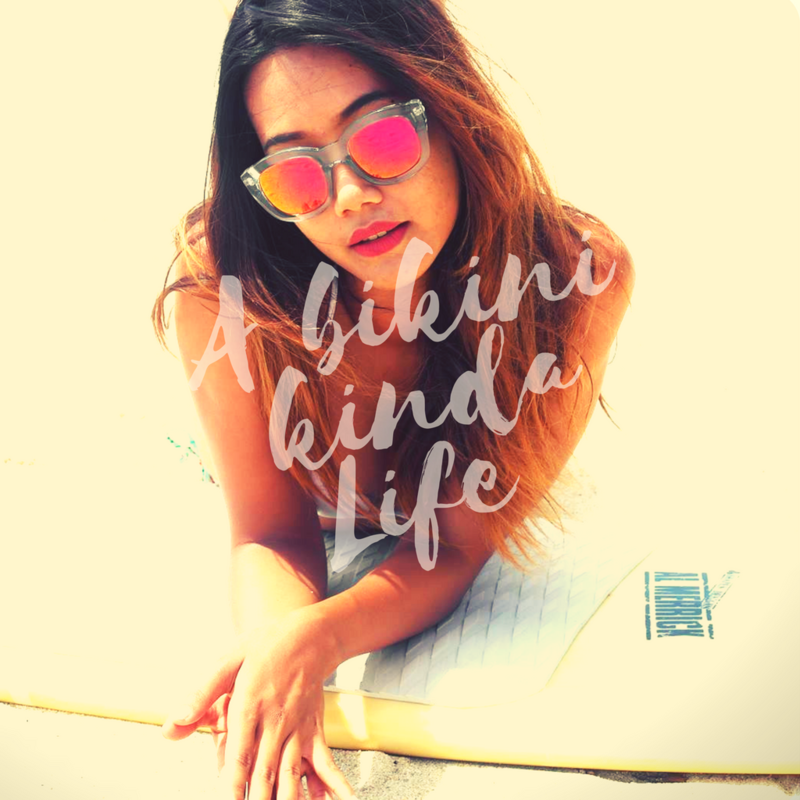 I was thinking to write everything down in one post, but since I decided to make this blog a bilingual blog so the content is pretty longer than it's supposed to be. Plus I have realized that there are too many pictures I want to post. So, I will finish the 2nd part in the next post. Stay tuned! ปิดท้ายคืนที่สองด้วยอาหารจีน ชอบจานขวามือมาก เป็นก๋วยเตี๋ยวผัดน้ำขลุกขลิกเรียกว่าฮกเกี้ยนฉ่า น่าจะแปลว่าก๋วยเตี๋ยว(จีน)ฮกเกี้ยน? อะไรประมาณนี้ เดา ส่วนอีกอันเหมือนผัดไทเป๊ะแต่จืดกว่า ก่อนจะกลับที่พักด้วยสภาพหมดเรี่ยวแรงจากการเดินมาทั้งวัน ส่วนโพสนี้ก็จะขอจบอย่างหมดเรี่ยวแรงเช่นกันเนื่องจากระลึกได้ว่าภาพเยอะมากกกก (แล้วก็อยากโพสหมดด้วยแงะ) อีกอย่างคือเริ่มเขียนเป็นสองภาษาแล้วเพราะฉะนั้นบล็อกยาวมาก น่ากลัวจะโหลดโหดจริงๆ ขอบคุณผู้ที่อ่านถึงบรรทัดนี้ ครั้งหน้าจบแน่นอนนะเธออ! 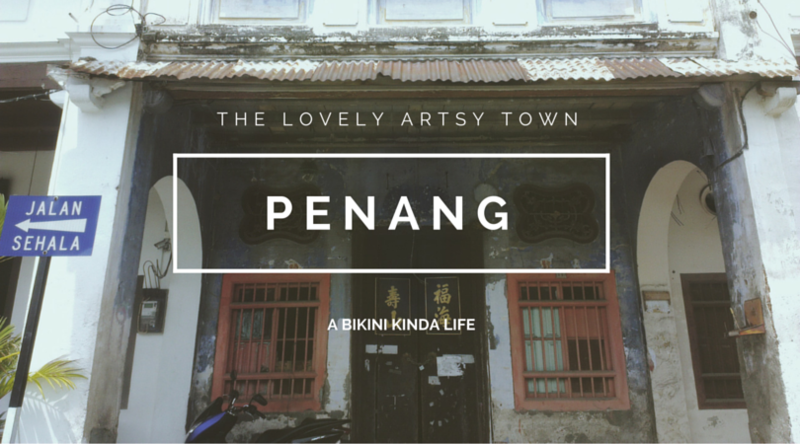 2 comments on "Penang, The Lovely Artsy Town (Part 1)"